Who Is That Weird Doctor Lurking Behind Donald Trump? The Internet Wants to Know. It's not the first time a Donald Trump campaign rally caused a stir on the internet. But Wednesday's hullabaloo was decidedly different. During Trump's speech in Sanford, Florida there was a quite noticeable attendee lurking over Trump's left shoulder. The man is presumably, though not certainly, a doctor. We know this because he's wearing a lab coat and a gold-plated stethoscope. Is he a pharmacist? No, he has a stethoscope. Is he a dentist? No, he has a stethoscope. 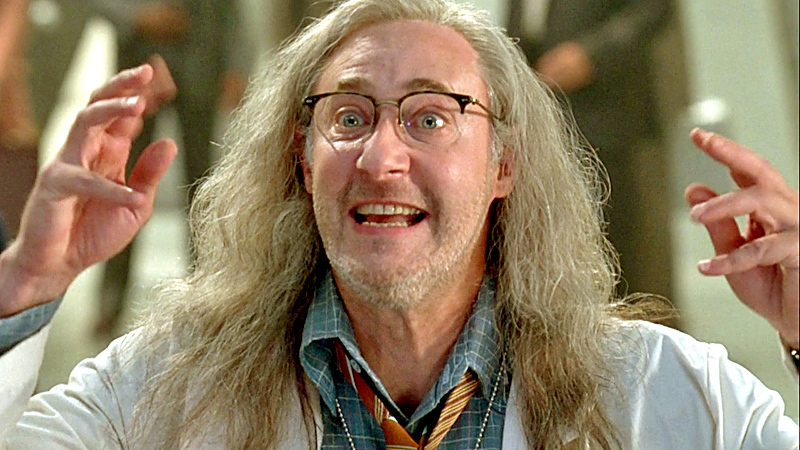 Is he that insane Area 51 scientist from Independence Day? No, he has a steth... that guy might have had a stethoscope. Denizens of the internet couldn't control themselves. 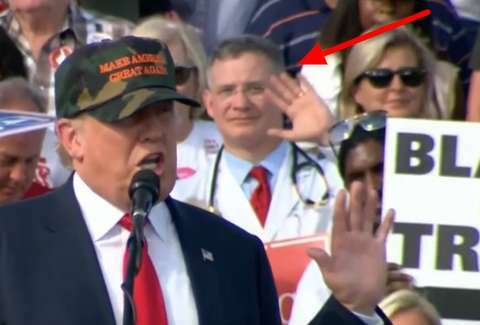 Who is this doctor and why is he attending rallies in doctor cosplay? The rally left observers with so many questions. Why didn't he leave his lab coat and stethoscope in the car? Is it hygienic to wear your lab coat everywhere you go? It was in the 80s in Sanford on Wednesday. Why is he wearing layers? The deluge of obsessive questions wasn't quelled by the fact that the well-placed doctor didn't carry the same enthusiasm as those around him (at least in the short clips online). While others threw their hands in the air cheering loudly and clapping, Dr. Spaceman Doctor Who the guy dressed like a doctor who may or may not be a doctor looked around as though he wanted to see if he anyone he went to med school with came to the rally. "We need to demonstrate that Trump is supported by college-educated white men." "What about a guy dressed as a doctor?" "Doctor the patient is crashing we need immediate..."
So far, there are no answers about who the man in question is. Based on what's known, it's just as likely that he's a doctor as it is that he went to a costume party the night before, overslept and had to wear his costume to the rally. It appears that the man in question is in fact a real doctor. His name is Dr. Gary Goodman and he has some pretty good reviews online.